Resistors are electronic components whose main purpose is to help control the amount of current in a circuit. Their property is that of resistance; a high resistance means a lower current flow, and a low resistance means a higher current flow. Resistance depends on both the geometry and composition of the component. 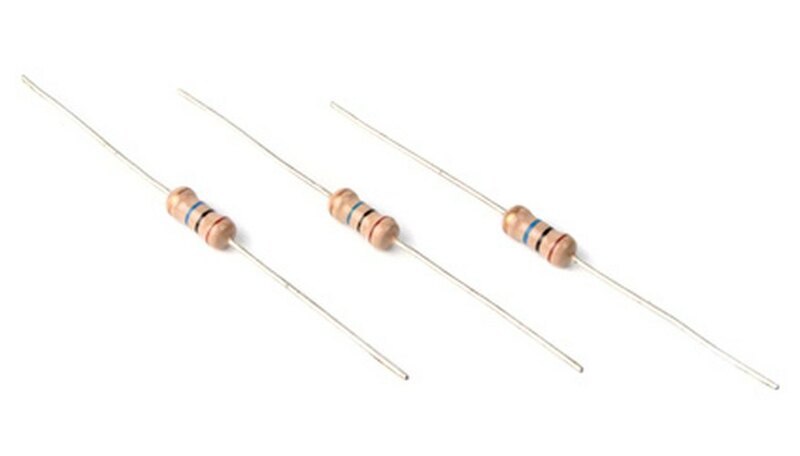 The most common types of resistors are made from carbon, and they are found in nearly every circuit. Resistors may be placed parallel inside a circuit. This means that they are all connected to the same points. To add parallel resistors, you need to use Ohm’s Law. Recall the properties of resistors in parallel circuits. Because they are connected to the same two points, they each have the same voltage, but the current is divided between them. Study Ohm’s Law. Ohm’s Law is is V = IR, where V is the voltage, I the current and R the resistance. Use Ohm’s Law to add parallel resistors. The equation is 1/R(Total) = 1/R1 + 1/R2 + 1/R3 + …+ 1/R(Last). Apply Step 3 to calculate the total resistance of two resistors placed parallel to each other. The equation is 1/R(Total) = 1/R1 + 1/R2. Use R1 = R2 = 4 ohms. This gives 1/R(Total) = 1/4 ohms + 1/ 4 ohms. The result is 1/R(Total) = 0.25 ohms + 0.25 ohms = 0.5 ohms, and therefore R(Total) is 2 ohms. Lewis, Kim. "How to Add Parallel Resistors." Sciencing, https://sciencing.com/add-parallel-resistors-6183369.html. 24 April 2017.